What was supposed to be a way for Rossetti and her husband, Mark Leder, to celebrate their anniversary ended with a 7,000-pound tree crashing down on her. The force of the impact was enough to nearly fold one of the bicycle's wheels in half and leave Rossetti herself paralyzed from the waist down. "That was a real awakening," she said, describing the aftermath as a depressing moment in her life. "I was lucky to be alive, trying to ﬁgure out 'now what?'" Fast forward to last month when Rossetti hosted Ohio lawmakers at her home one Friday to promote universal design principles. Universal design is a framework to have living and working spaces beneﬁt a wide range of people regardless of their situation without the need for special or separate designs. 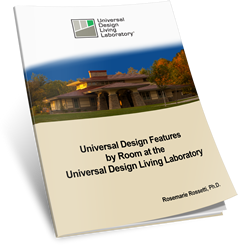 Rossetti's advocacy for universal design is part of the mission of the Universal Design Living Laboratory. It started when she and her husband struggled to ﬁnd a new home that would meet her needs for independence. "We couldn't ﬁnd anything on the market," Rossetti said. "I couldn't even get into the models." The couple hired an architect in 2004 to design their new home in Jefferson Township. The project attracted more than 200 companies and hundreds of volunteers to develop a ranch-style home. Building the house took more than 32 months, Rossetti said. When she and Leder moved in the house, the basement and landscaping were not ﬁnished. "It was a long journey," Rossetti said. With help from Nationwide Insurance, the couple opened their home to the public for tours over the course of a 30-day period in 2014. About 500 people attended that portion of tours and Rossetti continues to do tours by appointment. So far, the home has conducted more than 2,700 tours to date. In addition, the home has received three universal design certiﬁcations, two green-related ones and as a national wildlife habitat. "This home is really a major accomplishment," Rossetti said. But she would like to see Ohio and national policymakers provide incentives for home builders to incorporate universal design features in their products, similar to green building. Ninety percent of homes do not have features that will sustain independence, Rossetti said. And with baby boomers aging and many becoming disabled, the need will increase. "The clientele is getting older and they want to stay in their homes longer," she said. 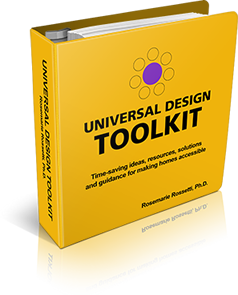 The Universal Design Laboratory is one of Rossetti's three focuses that make up her Rossetti Enterprises Inc. Prior to the accident, Rosetti worked as a public speaker and small publisher. Her colleagues encouraged her to change the focus of her motivational speaking about her accident and how she adapted. The other focus is about raising awareness about how disability insurance helped provide income during her recovery. Copyright 2018, The Daily Reporter. Reprinted with permission.